The History Channel has announced 5 Australian co-presenters to join Brit Neil Oliver for the local series of Coast Australia. 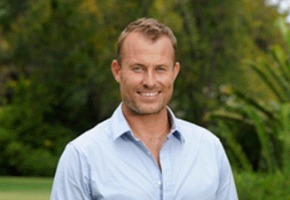 -and television presenter and landscaper Brendan Moar. The 8 x 1 hour series will focus exclusively on Australia’s stunning coastline and each episode will target a different strip of coast, as Neil and his co-hosts gather stories about the history, the people, the archaeology, the geography and the marine life. Neil and the team will visit all corners of Australia, from the Kimberly to the Gold Coast and from Darwin and Tasmania, while stopping off at capital cities along the way. The series will cast its line back tens of thousands of years, as well as study very contemporary modern social history. It will join the past and the present together – and build a true story of a country which lives in synergy with its vast coastline, by meeting and talking with people from all walks of life. Coast Australia is based on the hugely successful BAFTA award-winning series Coast, which has been broadcast in the UK and internationally for the past nine years. Commissioned by Foxtel, produced by Great Southern Film and Television with the format licensed from BBC Worldwide Australasia, Coast Australia is currently in production and will go to air on The History Channel in the second half of 2013. Well just lost me, Tim Flannery no thx, get someone with more creditability thanks.